This list is OUTDATED! I’ve combined all Korean Food lists into this single post. It is hard to stress how amazing Korean food is. While I had some experience with it prior to visiting Korea, in reality, unless you live in a Koreatown, you can barely scratch the surface of what Korean food has to offer. This is my second post on Korean street foods and side dishes in an effort to convince you to visit South Korea not by appealing to your sense of adventure, but to your sense of taste. Make sure to also check out my South Korea Travel Guide for more SK information. I love Korean food so much, that for this post, I will try a different approach. Instead of posting pictures, each item has a Youtube video of someone making the Korean street food or side dish. When you go to Korea, you should eat as much as can possibly fit into your stomach. Having spent the last three years here, I eat Korean food on a daily basis. In that time, I have amassed a big list of favorite things to eat which I hope to share with everyone. Because I would like you to eat a lot in your travels here, I have separated main dishes and snacks into two separate posts for your consumption benefit. I hope you get fat with these amazing street foods and snacks when you come to Korea. You can find the first food related Korea post here. Kimchi is the signature side dish in Korea. Cabbage is cleaned and filled with salt to draw out the water (watch the video). Then, it is prepared with a red paste and left to ferment for weeks, months, or longer. Kimchi, much like wine, apparently gets better with age. It is also quite expensive to buy prepared in stores, as they can go for about 9,000 won ($8.50 USD) a kilo (2.2 lbs for you Americans that can’t convert). Because of this, many people make kimchi for the rest of the year sometime in September or October when the cabbage is cheapest and store it in specifically designed “kimchi refrigerators” (I’m not joking). As Koreans eat kimchi with anything, you won’t have trouble finding it at any “kimbap restaurant” or pretty much anywhere. So, if it is the signature side dish, why is it ranked so low? Because it is overrated (at least for my foreigner taste buds). Have you ever woken up one day and thought, “man, I really want to have some cabbage today!” No, no one outside of Korea has ever thought of that because cabbage is a very average (or below) vegetable. I do like cabbage sometimes and I do recommend that you try kimchi once, but it is not the be-all and end-all of Korean cuisine. There are many snacks that taste better. In fact, I recommend kimchi more for its cultural impact on Korean people, than its actual taste. Besides, it will be free with most meals, so just try it. If you are more familiar with Korean cuisine, it might be prudent to add that there is not just one kind of kimchi. There are actually more than twenty kinds which can be found at any large super market if you want to sample them all. For the purposes of this article, kimchi will mean the most common type of Korean kimchi (the red cabbage one). 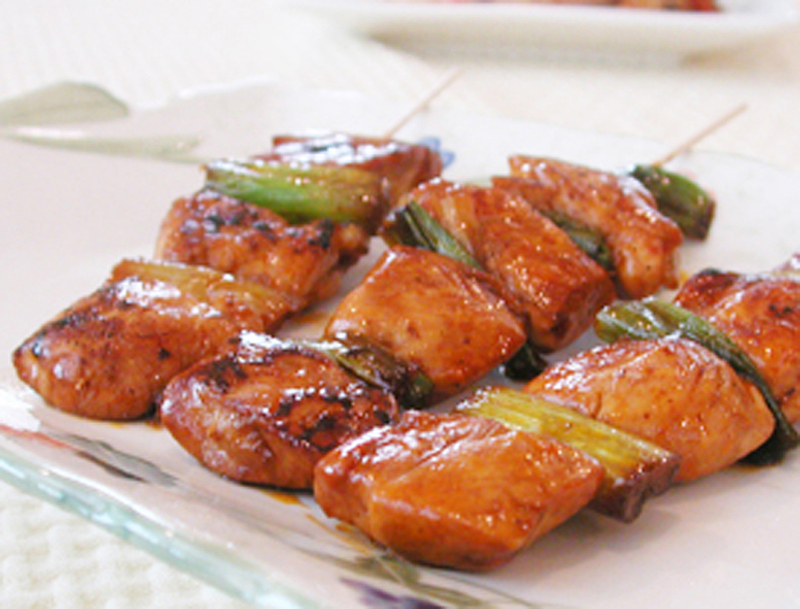 The idea is very simple: Grill some chicken and some green onions on a stick and put some sauce on it, but it is still very delicious. In many of the markets or shopping centers in Korea, you will see people selling Dak Kochi on the street. While many are out year round, you can see them especially in the late fall or early spring when it is just warm enough to be outside at night. They are a great street food, and the vendors are usually some of the friendliest people around. They cost about 2000 won each ($1.80 USD) so grab one to hold you over until your next big meal!